The study of small arms is an extremely broad field. Interdisciplinary is probably a better word, as the field encompasses elements of history, sociology, politics, physics, chemistry, economics and mathematics. The expansive nature of the the field is, perhaps, the best, and only explanation as to why so many works on the subject range from unfulfilling to simplistic to puerile. In other words, the number of disciplines that must be mastered, and addressed in order to produce a work that is both scholarly and useful militates against success in the endeavor. It's not unlike expecting a physician's practice to cover, with equal facility, obstetrics, neurology, anesthesiology, urology, pediatrics and oncology, or an attorney to practice with equal ease, criminal law, tax law, torts, real estate, trusts, estate law, labor law, and domestic relations, or, for that matter, for a clergyman to officiate at Methodist, Buddhist, Jewish, Catholic, Hindu and Wiccan services with equal expertise. While it can be done, the results will be, at best, less than gratifying. There are a number of ways of coping with this most daunting of challenges to scholarship. One is to provide general survey works that are simple in nature and shallow in depth. While these provide more than enough information to satisfy casual interest, and are therefore commercially successful, for the dedicated student or collector, they create more questions than they answer. Another, and for the scholar, more successful, option is to focus on one narrowly defined subject. With a narrow, clearly defined subject, most, if not all of the relevant disciplines can be realistically addressed. An excellent example of a well addressed, narrowly defined subject matter can be seen in Daniel Kent's book, German 7,9mm Military Ammunition 1888-1945. 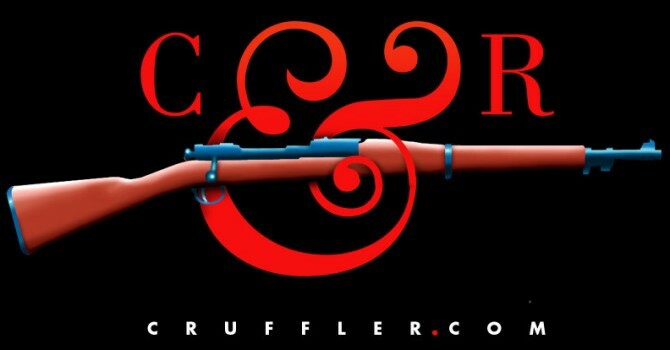 There can be no doubt that the subject matter is of a seminal nature to the study of firearms history! The 7.9x57mm cartridge dates to the earliest days of the smokeless powder era and was in widespread use well into the age of the assault rifle. It is one of the few military cartridges to have undergone every major evolution in cartridge technology, absorbing each advance in projectile, propellant, primer and case technology as it unfolded (and being the proponent of some!). It is also one of the most prolific cartridges to see service, being adopted by more than forty nations, and even serving on both sides during the Second World War. Not the least of the cartridge's accomplishments are its progeny; the 7.9x57mm was directly responsible for the development of the US .30-06 cartridge, and with a little logical extension, the current 7.62mm NATO round. It is quite evident that Mr. Kent has chosen one of the broadest narrowly defined subjects within the realm of modern armament to write about. Even a cursory glance at German 7,9mm Military Ammunition 1888-1945 is enough to indicate that Mr. Kent's efforts have been successful. The book is artfully written and skillfully organized. Political and technical history are blended in a seamless fashion that few authors manage to attain. At the same time, the book is richly supplied with captioned black and white photographs and line drawings that are well situated so as to both illustrate and amplify the text. Particularly useful is Mr. Kent's habit of supplying english translations for the german text found in many of the illustrations. It's a nice touch that many other authors would do well to emulate. Velocity of the projectile is an important criterion if penetration is the desired objective. Or in other words, the higher the velocity, the greater the penetration. This ammunition has been repeatedly dubbed "Super Armor Piercing" and rightfully so. The superior penetration of the S.m.K.H. (Spitzgeschossmit Stahlkern - Gehartet - Pointed bullet with steel core - hardened) was accomplished by having a very heavy, yet small projectile driven at the maximum velocity safely obtainable with existing weapons and cartridge case. The core material was exceptional, in that tungsten carbide is much heavier and considerably harder than alloy steels, normally used in armor piercing bullets. This combination of high density, hardness and velocity permitted nearly a 100% increase in armor penetration over alloy steel cores. The S.m.K.H. was reportedly introduced during 1936-1937 and designed for the Army for employment against light tanks. At this writing it is uncertain whether the S.m.K.H. was actually utilized in the MG17. The cartridge would have been reasonably compatible with high velocity v-ammunition as the charge weight for all practical purposes was the same. Although quite expensive to manufacture, the cartridge would have been a very effective round in the MG17 as the projectile had the potential of penetrating the heaviest armor on enemy aircraft and undoubtedly would have had a telling effect on the fine inner working of aircraft powerplants. And now, gentlemen, we come to the most misunderstood, yet most intriguing of cartridges the sniper may have ever carried - the Nahpatrone. This is such an unusual item in that discovering how it was used, and how it functioned, has required considerable investigative effort. Through a stroke of good fortune, several relevant pieces of information have surfaced in recent years. The first item was a Polte factory drawing dated 23 February 1943, on the Nahpatrone. This drawing indicated that the cartridge with s.S. bullet was intended for the 98k rifle, and that the round was loaded with a 0.55 gram (8.4 grain) charge of #33 platzpatrone blank powder. An ultra rare Nahpatrone box label further confirmed that this type powder was employed. Armed with these few facts, an intriguing hypothesis began to evolve: Would combustion be so brief, and the cooling of gasses so rapid that muzzle blast would be reduced to a negligible state? Would a silencer really be needed, and would such a light charge of quick burning powder create a visible muzzle flash? Further consideration was given to the thought of blank powder behind a service bullet, a practice that would normally be frowned upon as extremely dangerous due to the fast burning properties common to blank powders. On the other hand the known charge level appeared to be conservative, and it was known that the cartridge produced subsonic velocities which in all probability would produce moderate pressures. The second outstanding feature of the book is the proliferation and quality of illustration. Every page proudly sports relevant and amplifying line drawings (many of them done by the author himself) and photographs. These range from headstamps to Polish military cartridge schematics to cartridge drawings to primer composition diagrams to photographs of German military cartridge boxes. We can safely say that this is the single most profusely illustrated firearms book that we've had the pleasure to read. Moreover, we were struck by the quality of the illustrations. Finally, the book is provided with both an index and a bibliography that make it more than just a nicely executed esoteric work. These two elements transform Mr. Kent's book into a truly useful reference. Not only does it contain everything anyone could ever want to know about German military 7.9mm cartridges, but it does so in a such a way that the reader can find the right information at the right time. Even a cursory look at the history of military firearms in the twentieth century is sufficient to realize the crucial role played by the 7.9x57mm cartridge. Knowledge of the cartridge, the arms chambered for it, and its development is critical for both the historian and the collector. 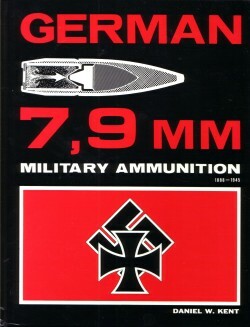 German 7,9mm Military Ammunition 1888-1945 provides both an excellent overview and a detailed reference to which no other volume can compare. Let's put it in much less uncertain terms: If you own a single 7.9mm rifle (or machine gun for that matter), have thought about owning one, or are merely interested in technical history, you need this book. And at a selling price right around $25.00, how can you resist? Secure Communications with PGP Results >From Cruffler Matches One And Three And A Consolidated Match Database!